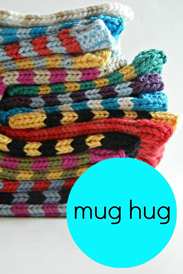 Colour Packs, MKALs, Free Patterns, and Bunnies! Ah, remember the good ol' days of kindergarten: the smell of glue and macaroni, sounds of the squeaking seesaw, taste of animal crackers and orange juice. You thought you had it all. 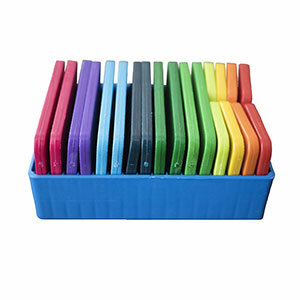 But then that one kid would come to school with the 64 pack of crayons...and suddenly all you ever wanted in the world was to have all of those colors. 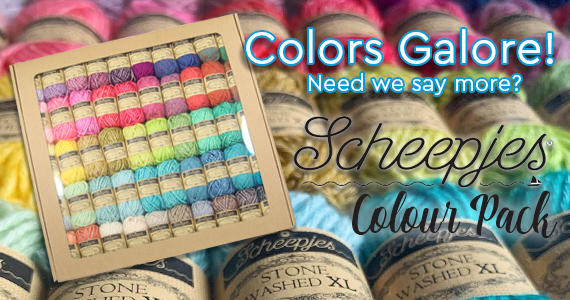 And now you can...introducing the Scheepjes Colour Pack! 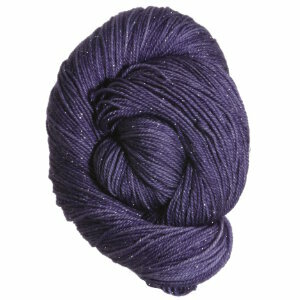 This big, beautiful box o' yarn comes with 50 (FIF-TY!) different colors! That'll show that crayon kid who's boss! 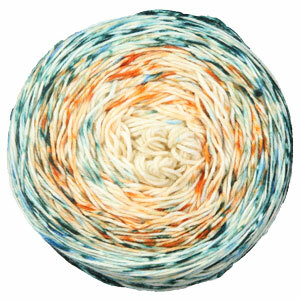 Each 15g mini-skein of River Washed XL and Stone Washed XL yarn is made up of soft and fluffy cotton blends, that are just washing (....I mean wishing) to be highlighted in your next project! 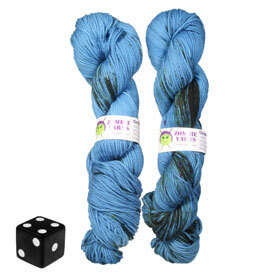 Dice, Dragons, and Hand-Dyes, Oh My! Want a different kind of mystery? April 14th brings us the final season of GoT, and we have quite a few Beans waiting with bated breath (who's with us?!)! 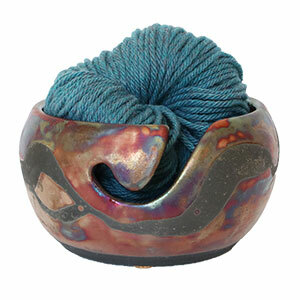 The season and MKAL, designed by Rachel Roden of Unraveled Designs, kick off THIS Sunday! 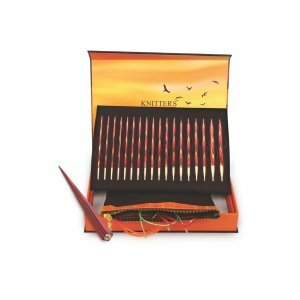 We still have The Shawl of Ice and Fire kits available, and your yarn will arrive shortly after the first clue is released on Ravelry. 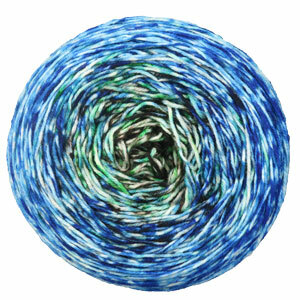 A skein of Shepherd Sock, a String Quintet, a size US 5 circular, and the Ravelry pattern is all you need to get started! Transport yourself with the Greatest of Ease to nostalgic childhood days filled with lemonade, cotton candy, and summer nights at the circus! 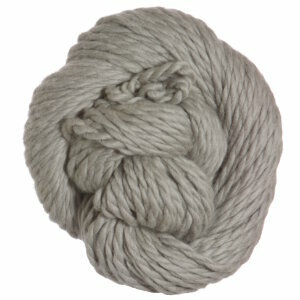 With playful names like Wild Rumpus, Imaginary Best Friend and Kid In A Candy Store, it might be hard to pick just one! We recommend 3 balls (in case you also want to practice juggling - we're not clowning around)! 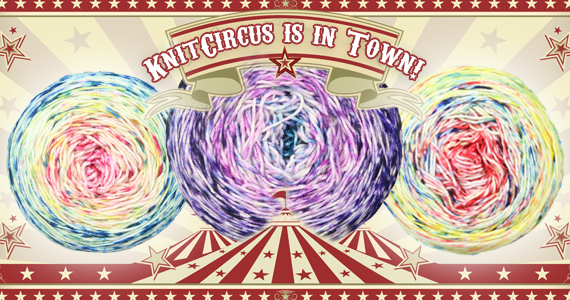 Run away and join the KnitCircus to make your dream project come true today!!! Hi'ya guys! 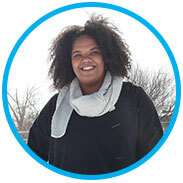 Laura Zander here, Co-Founder and Chief Knitter at Jimmy Beans! 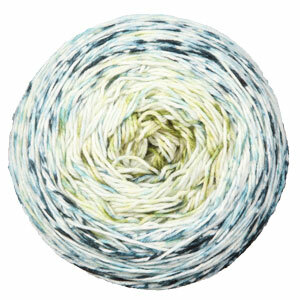 A few weeks ago, I was lucky enough to visit KPC Yarn in Hong Kong and get the low down on their ridiculously cool new upcycled yarn collection, #Knitwell by Jacqui Fink! 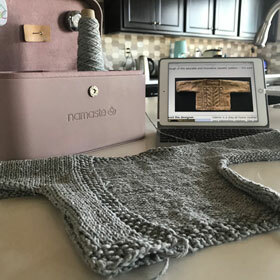 Meeting Jacqui and learning what these guys are up to - totally inspired me to finish not just one project, but two (I also knit up our Presto Chango free pattern)!! 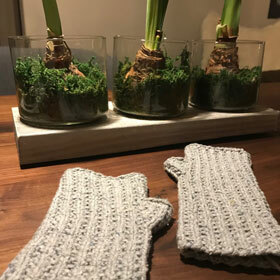 I used KPCs NEW #KnitWell Soul Aran and made a few tweaks to one of our free patterns, Blissful Mitts, and can't get over how super soft yet totally textured this yarn is (kind of like Robert Redford, no?? Rugged and worn but also gentle... )?? 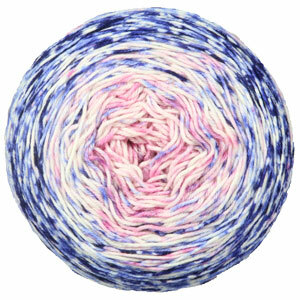 There's something about knowing that the yarn came from old sweaters that kept me so engaged while I was knitting... I found myself daydreaming about what the old sweaters used to look like! It's the most interesting yarn I've knit with in years and I just knew we had to carry it (PLUS #knitwell's brainchild, Jacqui Fink, is a total #girlboss and the company's main focus is on sustainability)! Win win! Who's excited for our next installment of Jimmy's Indie Club?! 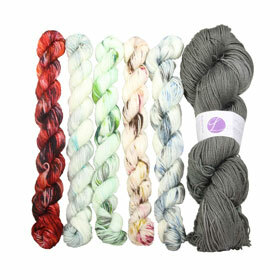 Our next Indie Dyer is....drum roll please... Lady Dye Yarns! The crowd roars. We recently met Diane Ivey, owner and creative director, at Stitches West back in February, and we can't tell you all how excited we are to be working with her and all her yarny goodness. 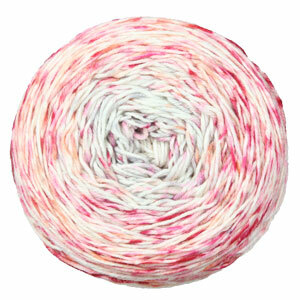 Not only is her yarn fun and edgy (a necessity to your stash! ), but she's a woman after our own hearts. 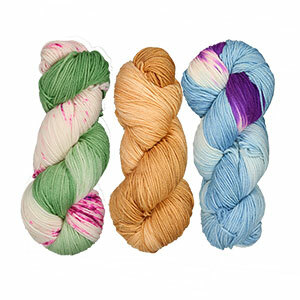 LDY works to lift others in our industry by using her own platform to promote and collaborate with other indie yarn companies and designers, thus creating a stronger and more diverse crafting community. 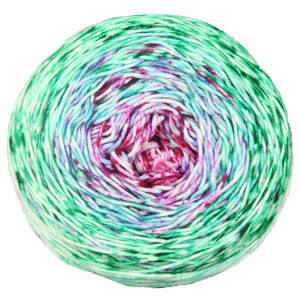 We're honored to be working with Lady Dye Yarns. No colorway spoilers this time, but you won't be disappointed, we promise! 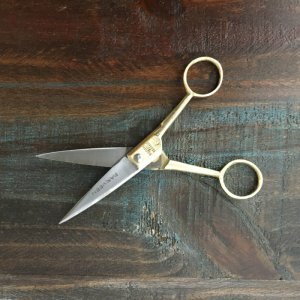 Curious about our other sale items? 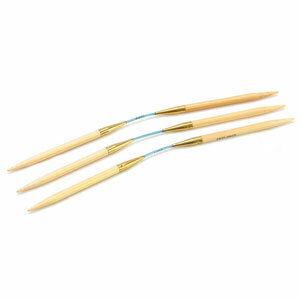 Check out our complete sale selection! Bunny Sit and Knit with Miranda! Queue the squeals of a cuteness overload!! 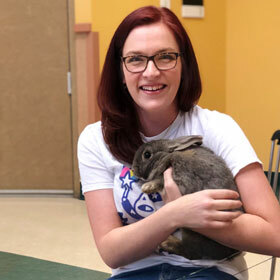 Last night, our Bean Miranda taught at our local Humane Society's Bunny Sit and Knit - an evening filled with bouncing bunnies, a free pattern (provided by us! 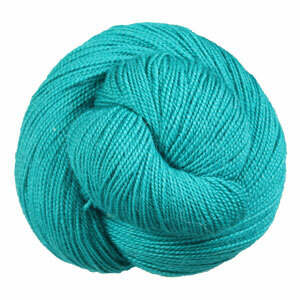 ), and knitting, of course! If you're in the Reno/Tahoe area, join us every second Thursday of the month as we sit and knit with the most adorable and adoptable bunnies! 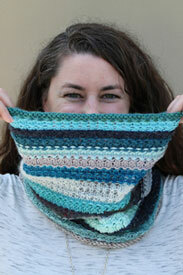 This lovely shawl certainly helped keep Lily warm during this shoot, especially when the weather picked up! 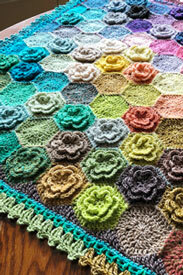 A combination of wool and silk gave it a pleasant look and feel, all brought together by a gorgeous design!